Odor is a common side effect of dealing with industrial or sewage waste. If you operate a treatment plan, whether municipal or industrial, you will surely be seeking a way to control the odor produced by the material you are dealing with. This is where Warminster Fiberglass comes in. We offer a range of odor control launder controls that you can place over the source of the odor and lock it in. Yes, our odor control products are designed to control the noxious gases produced by microorganisms in sewage by entrapping them under the covers. The launder covers are completely gas-tight. We ensure there are no gaps through which air can seep in, enabling you to prevent up to 98% of the foul odor emissions. Regardless of the type of sewage treatment plant clarifiers you use, we assure that our launder covers will prevent the odor from escaping by controlling the gases. At Warminster, we realize the problems faced by sewage treatment facilities when it comes to controlling odors. This is why our odor hoods are designed to cover the source of the odor. 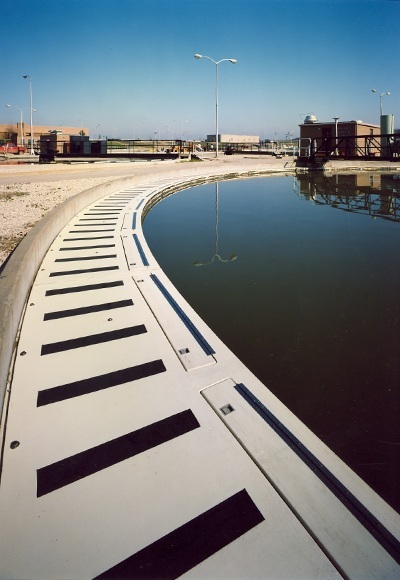 You have to identify the location in the clarifier from where the odor is emanating and place the cover over it. Usually, this is the effluent box, weir, or effluent trough. The launder cover will ensure the odor traps the gases, neutralizes it, and then exhausts it, to prevent the foul odor. To further enhance performance, the odor control launder covers, reduce the risk of algae and ice building up on the weir plates. We mold the scum baffle into the cover. The materials we use for creating our odor control launder covers include a composite laminate made from fiberglass balsa-core and steel tubing, which keeps the hoods stiff and flat. 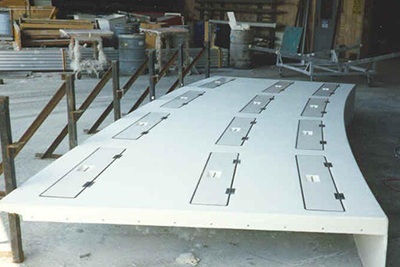 The top surface of the covers is skid-proof, ensuring safety for your employees.